The submit and cancel buttons allow you to confirm or reject an action you are taking in Blackboard. To save un-necessary scrolling to view options you won’t use, the submit button remains in position floating at the bottom of the browser screen whilst using relevant features. This animation demonstrates how the submit button is shown. To introduce the learner to authoring with the Blackboard virtual learning environment, covering the areas of most interest and providing familiarity with the Blackboard interface. This course assumes prior knowledge of using a Windows PC to find files and folders on the computer and networked drives as well as familiarity with using the world wide web with a standard web browser such as Microsoft Internet Explorer. Become familiar with the Blackboard interface, including tips on shortcuts, and develop an intuitive knowledge of how to use unfamiliar features not covered within the course itself. Develop an understanding of the other content features available in Blackboard. Understand the different ways instructors may track student usage of their Blackboard course. 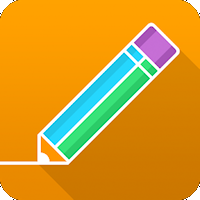 View results of a test or survey in Blackboard, on a per student or course wide basis, and use Blackboard’s tools to provide simple analysis of those results. Embed YouTube videos into a Blackboard course. Customise the Blackboard course menu. Change the Blackboard course menu design. Customise the Blackboard course entry point. Know how to contact iSolutions for Blackboard support, including what information they should provide to aid a quick and effective resolution to their query. The iSolutions Managed Learning Environment team has provided an introductory training course on using Blackboard for the past 17 years. In the past year, due to the ease of use of Blackboard, we have received very little interest in attending training courses for Blackboard. We have now transitioned to a new arrangement. 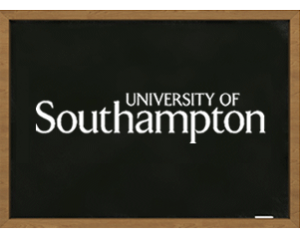 If you wish to attend Blackboard training contact ServiceLine@soton.ac.uk and ask to be put on the “Blackboard Training Waiting List”. Once we have eight or more people waiting on the list, we will arrange a training course to be held at a date and time that all attendees can make. We have extensive step by step guides for staff on how to use Blackboard across our website. You can also access Blackboard via Sussed and you may also find links to Blackboard on your faculty intranet or elsewhere. If all else fails you can Google “Southampton Blackboard”. Most modern browsers and operating systems are supported for use with Blackboard. 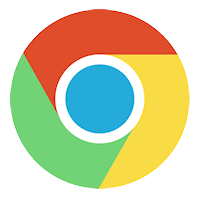 We keep a list of the officially supported browsers on our website. Other browsers and operating systems not on the list will usually work ok with Blackboard, but if you have experienced a browser related issue we would ask you to try an officially supported browser instead. In our experience Chrome and Firefox give the best experience when using Blackboard. The ‘My Courses’ box is where you will find your Blackboard courses listed. This list can quickly grow as you progress through your time at the University. Enabling the “terms” feature will organise your modules by academic year, and should make finding your resources faster and easier. Upload your avatar / profile picture to Blackboard. It will appear beside your discussion board posts, blog posts, wiki pages, and in other areas of Blackboard. The best way to use Blackboard is through a supported web browser. This gives you access to the full suite of tools and features within Blackboard. However, a mobile app is also available which provides a handy and easy way to check your courses from your mobile device. You’ll find that a subset of features are supported by the app, and you may find it useful for quickly checking course materials on your phone whilst enjoying the free wifi on uni-link buses. Make sure to install the MySouthampton app too! Whenever you type something into Blackboard you will usually have a set of icons available which allow you to set formatting options and embed pictures, animated gifs, videos, youtube clips, and more. 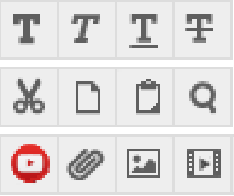 Our web page explains what all the icons mean and also provides some keyboard shortcuts for power users. 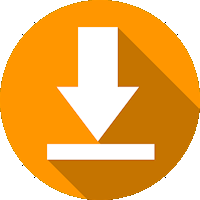 You may find it useful to download certain materials such as handouts and presentations so that you can view them easily on your laptop or mobile device without needing to be online. If your course tutor has made lecture recordings available, you can download them as mp4 files for viewing offline. This is very handy if you are in locations with poor internet access, or just want to save battery by keeping your wifi turned off. We have a number of straightforward step by step guides that will show you how to perform any tasks expected of you within your Blackboard course such as submitting an assignment, writing a blog/journal entry, taking part in group work, writing a wiki page, gaining an achievement, and more. From time to time you may have a query about Blackboard. Our page linked above will tell you how to contact us and what information you should provide in order to help us to help you as quickly as possible. We also have a list of frequently asked questions where you may find your answer without needing to contact us. Bob National: (also known as Learning On Screen) on demand TV and radio service. Like iplayer but with 60+ channels. Office 365 and OneDrive: get Microsoft office for free and 1TB of online storage. 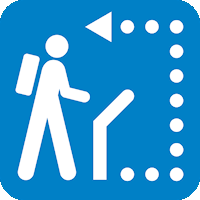 MySouthampton mobile app: the University of Southampton’s official app giving you access to map services, emails, timetables and more. Southampton Virtual Environment: access to a University Windows desktop from any device in any location, whether that’s at home, on campus, or on the move. You will also have access to all of your files, plus the most popular applications. Eduroam: University wifi that, once set up, will also allow you to use wifi at more than 6,000 eduroam hotspots. These are available at universities, research centres, academies, many schools, and other research and education institutions in more than 70 territories around the world. Lynda: Lynda.com is an online library that teaches the latest software tools and skills through high-quality instructional videos taught by recognized industry experts. I subscribed today and received an iSolutions username and password. However I cannot log into Blackboard. Why? Blackboard accounts are created within 24 hours of your initial subscription to iSolutions services. Please wait 24 hours after you have subscribed before attempting to access Blackboard. Can I access Blackboard from outside of the University? Yes, you can access Blackboard using a web browser and an internet connection from wherever you are, for example at home, at an internet café, at a library etc. What if I forget my password? There used to be a link for resetting a forgotten password on Blackboard, this has disappeared. What should I do? Remember: Blackboard uses your iSolutions username and password. So if you forget your account details you can reset your password by answering the security questions that you set when you created your iSolutions account. You can do this from the Subscribe website. I get a “No authentication credentials were provided with the request” error when I enter my username and password. What should I do? This error is caused by an incorrect security setting on your computer. In order to function, Blackboard needs to be able to execute scripts on your computer. To activate scripts in Internet Explorer, go to the Tools menu -> select Internet Options -> and click on the Security Tab. Now, click on the“Internet” zone icon (the globe) at the top of the screen. Next, click on the Custom Level button at the bottom of the screen. Scroll down the page until you find the Scripting section and be sure Active Scripting is enabled. Blackboard requires scripting to be turned on in order to work correctly, however if you are concerned about this setting you can change it back to the previous setting when you finish using Blackboard. When I log on I get a “challenge token null” error and then have to log on for a second time. Why is this? This is usually caused if you use a bookmark or favourite to access Blackboard and the login screen (where you enter your username and password) is bookmarked instead of the front page. If you use a bookmark to access Blackboard make sure it goes to https://blackboard.soton.ac.uk/ and no other page. Follow these instructions to clear your web browser cache http://www.wikihow.com/Clear-Your-Browser’s-Cache. When you have done so restart your browser and try again. My Blackboard course says it is "unavailable"
When courses are created on Blackboard they are set to be unavailable to students. This is so that the course instructor may prepare the course and then make it available when they are ready. 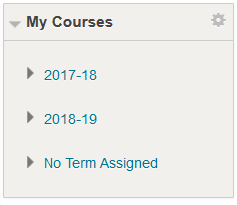 If a course in your “My Courses” box shows “unavailable” beside it then the course has not yet been made available to students by the course instructor. I used the online enrolment at http://www.enrol.soton.ac.uk/ and have enrolled onto my courses. However when I look in Blackboard I cannot find them. What can I do? When you look at the My Courses box, only courses which are “available” to students are accessible, courses which are “unavailable” are listed in black, with the word “unavailable” next to them. When courses are created on Blackboard they are set to be “unavailable” to students. This allows the course instructors to prepare the course and then make it “available” to students when they are ready for students to use the course. The most common reason that students cannot see a course is that the instructor has not set the course to be “available” to students. If no one else on your course is able see the Blackboard course either, then this is the most likely explanation. This can also explain why the list of courses shown in Blackboard does not match the list of courses shown in the SUSSED Portal. Information for instructors on how to make a Blackboard course available to students is on our web pages. Blackboard synchronises information with the Banner Student Information System which holds your enrolment details every day. You should wait until the next day before expecting to see the course in Blackboard. The process may also be delayed because some Schools do not action enrolments queries immediately after requests are made to their School Office, for example changes of course or programme. It is possible that the course is not active in Blackboard and therefore unavailable to students because the instructors have not set up a Blackboard course for that unit. You may check this yourself by clicking on the courses tab, under your Course List you will see courses which you are enrolled on but which are not available to your for this reason – they will have (unavailable) beside the course. There may be other web-based materials on a different system. The course instructor will be able to check this for you. There may be an “arbitrary” course that covers the subject. There is no mechanism to automatically enrol students onto these courses and they require users to self-enrol onto the course using Blackboard. Instructions are available online. If this is the case your course instructor should have provided you with the required joining details. iSolutions can investigate any missing courses for you. Please email the ServiceLine, stating which specific course is missing from your list. It is very helpful if you can provide the course code for the course concerned. General instructions on enroling onto a course in Blackboard are available in the Getting Started Guide for Students. You should be enrolled automatically in most of your courses but you may have to self-enrol on some courses. Note that to self enrol you will need to know the name of your course and possibly an access code to join it. Your tutor can provide you with these details. I have accidentally self-enrolled myself onto the wrong Blackboard course, is there any way that I can remove myself? There is no way that a student may remove themselves from a course, however if you send an email to ServiceLine@soton.ac.uk, stating what has happened and which course is concerned, the Blackboard Administrator will then be able to remove you from the course. It could be that the course menu has collapsed, watch the animation on this page to find out how to get it back. I’m trying to submit an assignment to Blackboard that is not using TurnItIn. When I click Submit nothing happens, regardless of the web browser I use. Try clicking first on “Save as Draft” on the assignment upload screen. This will save your assignment as a draft. Then click on “Continue Current Submission” and then click on Submit. This will submit your saved draft. Make sure that you never double click on any of the buttons, only single clicks are needed. I set Blackboard into another language, but now I’m not sure how to set it back to English. Click on the Logout button – it remains at the same place at the top right of the page. The icon looks like a power button. You will be taken back to Blackboard’s front page. Below the login box is a link “Show available languages”, click on this and a globe appears on the left of the browser window, click on it and then – click on English. Click on Login, enter your username and password, Blackboard will now appear in English. I tried to enter some text in a textbox, but when I submit the text it dissappears! What’s going on? Click on Edit Personal Information. Click on Set Visual Text Box Editor Options. This will turn off the Visual Text Box Editor and should completely resolve the issue. This issue particularly occurs if you are using an Apple Mac with the Safari Web Browser. Blackboard recommend using the Firefox or Chrome web browsers if you use a Mac and have difficulties with the text box. 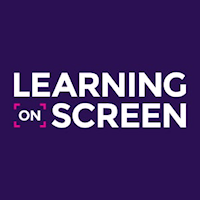 When you have been using Blackboard for a year or more you may find that you want to tidy the My University of Southampton screen. To find out more please read our guide. When I try to access a Discussion Board I receive an error message stating that my web browser does not support I-FRAMES. How do I fix this so that I can use a Blackboard Discussion Board? Scroll down to the Miscellaneous section and find “Launching programs and files in an IFRAME”, set this to Enable. Click on OK once more. If have concerns about the security of this option you may set it back to Disable when you have finished using Blackboard. Please also check that any third party firewall software you are using is not interfering with Blackboard, several firewall applications have been known to affect the Discussion Board. If you are using McAfee Security Suite the Advert Blocker can also cause the issue. Disable the Ad Blocker if you experience this issue. Open the privacy services window and under “Block Ads” uncheck the option to block ads. If you are using any pop-up blocking software, add Blackboard to its whitelist. I’m having problems printing and saving files from Blackboard. What can I do? We have a web page with guidance on printing and saving files from Blackboard. When trying to read documents on Blackboard I get a message saying Server error message 403: forbidden, having clicked on OK I receive another error An API exited abnormally. I have OpenOffice installed on my computer and do not use Microsoft Office. If you use OpenOffice to view / edit documents instead of Microsoft Office then documents will not appear within the Microsoft Internet Explorer web browser when you click on them. Instead you should save them to your computer and then open them in OpenOffice. Information on how to save (download) files from Blackboard is available on our web pages. The text is too small on Blackboard how can I make it larger? You can change the text size within Blackboard in the same way as you would with any other web page. In Internet Explorer click on the View menu then move your mouse down to Text Size and finally select Large or Largest from the list. You can set the size back by going through the same process and choosing the normal setting. You may also wish to check the following in Internet Expolorer : go to Tools, Internet Options, click on the Accessibility button in the General tab and check the box Ignore font sizes specified on web pages. That may fix the issue on an ongoing basis, rather than changing the text size every time you use Blackboard. The Blackboard course I use has a lot of Word, PowerPoint and / or Adobe Acrobat files. I would like to view these at home but do not have software that can view them. What can I do? You can install Office for free whilst you are a member of the University. I need to access a group page in Blackboard, how do I do this? Refer to the online guide for information about Groups. I need to use a blog that is in my Blackboard course. What should I do? Refer to the student guides to using blogs in Blackboard. I need to use a wiki that is in my Blackboard course. What should I do? Refer to the student guides to using wikis in Blackboard. I’m meant to be marking certain documents as “reviewed”. How do I do this? Refer to the online guide for information about the “Review Status” feature. I have been asked to take a test in Blackboard. I’m not familiar with the this, is there a guide? There is a guide to taking Blackboard tests on our website. I have been asked to post a message to a Blackboard discussion board, but I don’t know how. How does it work? There is a guide to posting messages on a Blackboard discussion board on our web site. I have been asked to submit an assessment (such as an essay) through Blackboard. How do I do this? There are two different methods available for submitting assignments online through Blackboard. Your instructor will be able to tell you which one it is necessary to use. If the assignment uses the TurnItIn Plagiarism Detection Service, refer to our online guide. If the assignment uses the Blackboard Assignments feature, refer to our online guide. Does Blackboard have a manual I can read? Yes, you can read it online on Blackboard’s web site. I have another question about Blackboard not answered here, who can I ask? Send your question to serviceline@soton.ac.uk making your question as clear as possible. Remember to include useful information such as which course is affected (provide the full course title and unit code if possible), what your iSolutions username is, and whether you are experiencing the problem on a home computer or on an iSolutions Public Workstation. 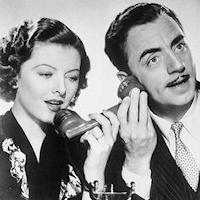 It would also be helpful if you could let us know what Operating System and Internet Web Browser you are using. Maybe the course menu is collapsed? Watch the animation on this page to resolve this.